If you are our Joomla! Template Club member or frequent visitor you have probably noticed a huge selection of Joomla! News Sliders we have created so far. All of them are very flexible and offer unique options and animations, but YouMomentum News Slider has been made with mathematical precision to accommodate all user options and news item automatization that will help you adapt the slider to your website with your own style, layout and options. 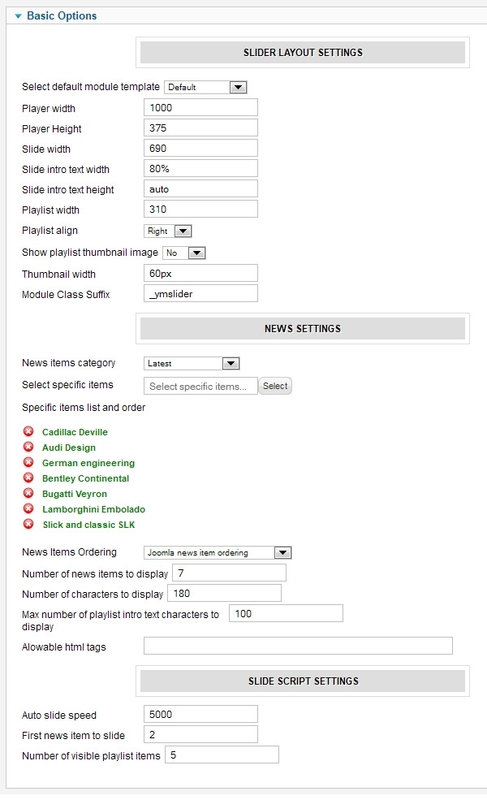 Each module parameter when changed will adjust the module layout to be perfectly presented no matter if you want thumbnails visible , more or less playlist items or shorter intro text. The sliding animation and intro text popout is also adjustable in module manager and can be easily changed to reflect your uniqueness and ideas. YouMomentum Slider is fully XHTML , CSS and JS valid , cross browser compatible and its style can be changed either by direct module CSS files edit, or module CSS overrides.